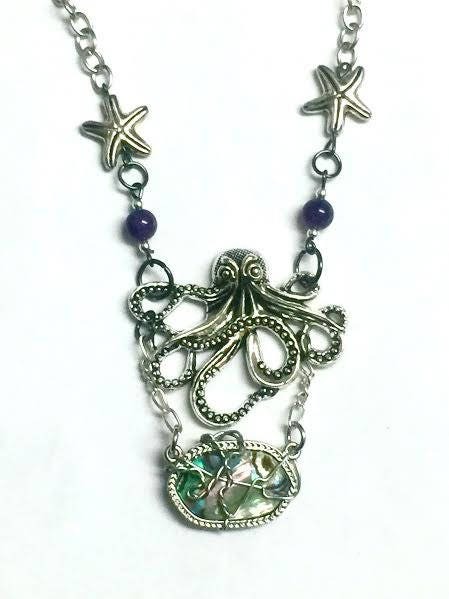 Inspired by The Little Mermaid - Ursula! 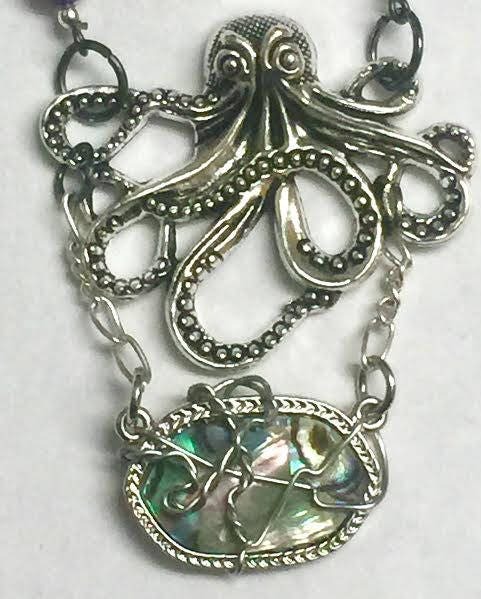 A gorgeous abalone oval is wrapped in silver and suspended below an octopus with swirling tentacles! 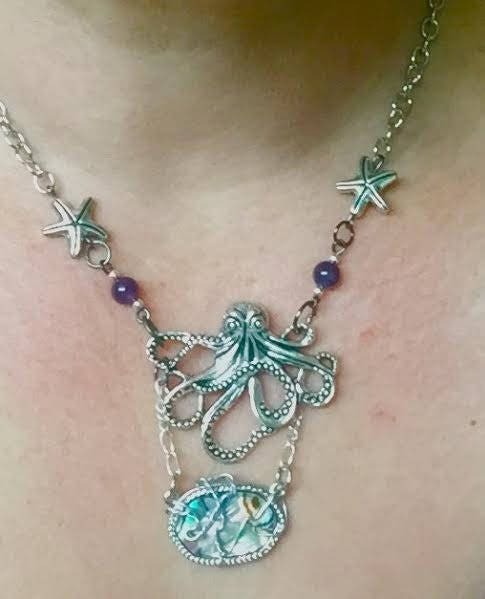 Genuine amethyst and starfish complete the piece!